Plans for homes near to the Holiday Inn in Weston Turville should be given the go-ahead, according to council officers. SPM Homes Ltd wants to build ‘up to’ 64 homes on land east of New Road but critics claim they would be an intrusion into the countryside and put too much pressures on roads, health and education infrastructure. The proposal comes after 135 homes were given the green light between Bedgrove and the opposite side of New Road, although Weston Turville has been spared the Hampden Fields development of 3,000 homes which was recently dismissed by a government inspector. 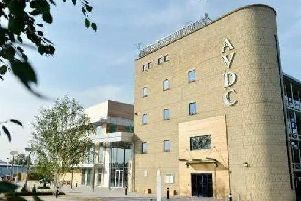 Aylesbury Vale District Council’s strategic development management committee will vote on the plans next Friday. However, council planning officer Claire Harrison said the development would not have a severe impact on the transport network but ‘would result in adverse impacts comprising of harm to the visual and landscape character of the site and immediate surroundings and loss of greenfield land comprising a small proportion of best and most versatile agricultural land’. However, she said these ‘adverse impacts would not significantly and demonstrably outweigh the housing and economic benefits of the proposal’.